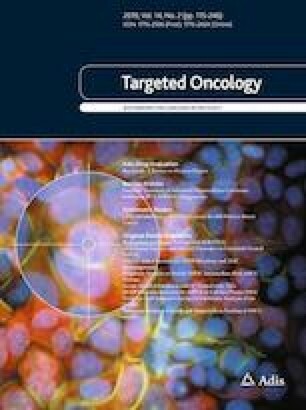 Given that aberrant activation of epidermal growth factor receptor family receptors (ErbB) is a common event in oral squamous cell carcinoma, and that high expression of these receptor proteins is often associated with poor prognosis, this rationalizes the approach of targeting ErbB signaling pathways to improve the survival of patients with oral squamous cell carcinoma. However, monotherapy with the ErbB blocker afatinib has shown limited survival benefits. This study was performed to identify mechanisms of afatinib resistance and to explore potential afatinib-based combination treatments with other targeted inhibitors in oral squamous cell carcinoma. We determined the anti-proliferative effects of afatinib on a panel of oral squamous cell carcinoma cell lines using a crystal violet-growth inhibition assay, click-iT 5-ethynyl-2′-deoxyuridine staining, and cell-cycle analysis. Biochemical assays were performed to study the underlying mechanism of drug treatment as a single agent or in combination with the MEK inhibitor trametinib. We further evaluated and compared the anti-tumor effects of single agent and combined treatment by using oral squamous cell carcinoma xenograft models. In this study, we showed that afatinib inhibited oral squamous cell carcinoma cell proliferation via cell-cycle arrest at the G0/G1 phase, and inhibited tumor growth in xenograft mouse models. Interestingly, we demonstrated reactivation of the mitogen-activated protein kinase (ERK1/2) pathway in vitro, which possibly reduced the effects of ErbB inhibition. Concomitant treatment of oral squamous cell carcinoma cells with afatinib and trametinib synergized the anti-tumor effects in oral squamous cell carcinoma-bearing mouse models. Our findings provide insight into the molecular mechanism of resistance to afatinib and support further clinical evaluation into the combination of afatinib and MEK inhibition in the treatment of oral squamous cell carcinoma. The online version of this article ( https://doi.org/10.1007/s11523-019-00626-8) contains supplementary material, which is available to authorized users. The authors thank Drs. J. Silvio Gutkind and Wang Zhiyong for sharing the CAL27 cells. The authors also thank all the staff of the animal facility at the National University of Malaysia (Universiti Kebangsaan Malaysia), Bangi, Malaysia for their assistance. This study was funded by High Impact Research, Ministry of Higher Education (HIR-MOHE) from the University of Malaya (UM.C/625/1/HIR/MOHE/DENT-03) and other sponsors of Cancer Research Malaysia. Cancer Research Malaysia is a non-profit research organization committed to an understanding of cancer prevention, diagnosis, and treatment through a fundamental research program. Pei San Yee, Nur Syafinaz Zainal, Chai Phei Gan, Bernard K.B. Lee, Kein Seong Mun, Mannil Thomas Abraham, Siti Mazlipah Ismail, Zainal Ariff Abdul Rahman, Vyomesh Patel, and Sok Ching Cheong have no conflicts of interest that are directly relevant to the content of this article.